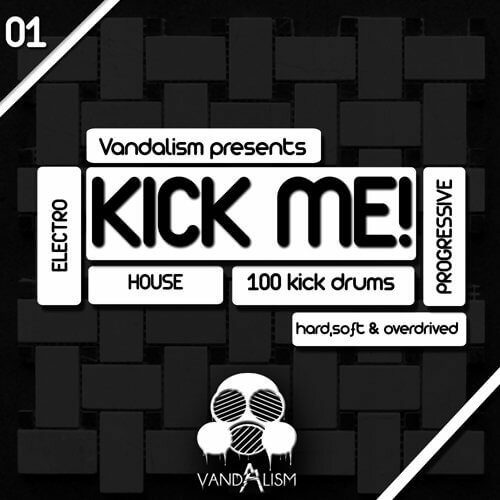 ‘Kick Me!’ is a compilation of 100 perfectly made kick drums from Vandalism. This set contains three different types of kicks: soft, hard and overdriven. You will find every kind of kick drums from deep, hard punching to smooth and with short attack. The variety of these samples gives you the best option to choose suitable kick drums for your next banger! ‘Kick Me!’ contains drums packed into three folders. You will find 35 soft, 35 hard and 30 overdriven kicks. Inside this pack you can find long and short attack kick drums. Just listen to them and pick up the best for you!